BMW is narrowing the list of potential sites for a second North American factory to tap rising demand for its vehicles in the region. BMW has narrowed the list to at least two sites in Mexico, people familiar with the matter said. The luxury carmaker is weighing building its best-selling 3-series at the new plant, said one of the people, who asked not to be identified discussing internal deliberations. CEO Norbert Reithofer said last month that BMW will need an additional factory in the region “at some point” as part of an expansion to fend off Volkswagen AG’s Audi and Daimler AG’s Mercedes-Benz. 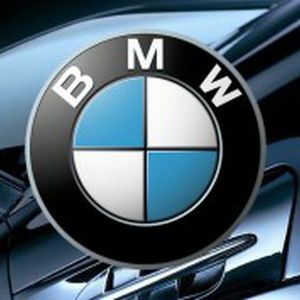 BMW announced plans March 28 to spend $1 billion expanding its South Carolina plant, which will become its largest facility worldwide. BMW has been mulling the new North American plant for at least two years and reports of those discussions began to surface in August 2012. Talks with local governments in Mexico picked up steam about a year later. BMW will raise production capacity 50 percent in Spartanburg, which assembles SUVs, by 2016 to 450,000 vehicles and add a large SUV called the X7. The carmaker’s biggest factory has been in Dingolfing near Munich, where it produces the 3-, 5-, 6- and 7-series. The automaker built 342,000 cars in Dingolfing last year. BMW posted its best March sales ever in the U.S. and narrowed the gap to Mercedes, which claimed the top spot in North American luxury-car sales last year. BMW sold 32,107 vehicles last month, an increase of 19 percent. Mercedes delivered 27,401 vehicles, an 11 percent gain. BMW increased U.S. first-quarter deliveries 12 percent to 72,377 vehicles. Mercedes’s sales in the period rose 5 percent to 72,614, while Audi gained 3 percent to 35,228.The U.S. was BMW’s second-biggest sales region last year, accounting for 19 percent of global volume. BMW, Audi and Mercedes-Benz are all planning record global deliveries in 2014 on growth in China and the U.S., the world’s two largest auto markets. All three are adding capacity as demand outstrips production. Mercedes announced plans last month to spend 1 billion euros ($1.4 billion) to double capacity at its Beijing plant to more than 200,000 autos a year in 2015. Mercedes, which ranks third in luxury-car sales to BMW and Audi, makes SUVs at a factory in Tuscaloosa, Ala., where it’s adding production of the C-class sedan in June. Daimler CEO Dieter Zetsche said last month the company may set up a new plant in North America to add capacity as he rolls out 30 new models by the end of the decade, a dozen of which will have to predecessor.